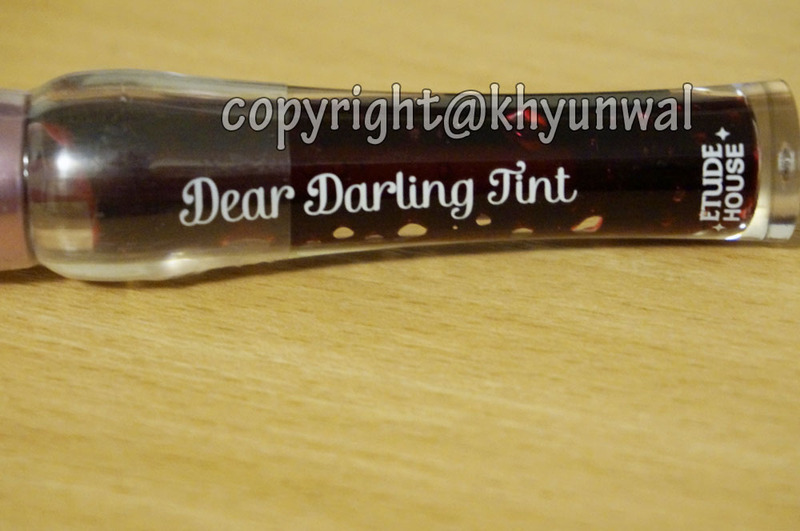 For today's review I have Etude House Dear Darling Tint 4 sets. I usually don't wear lipstick or lip products other than the lip balm for moisturize. But now that I do some make up tutorials, I thought I should add more colors to my lips, cause my lip looks kind of bold without any color. And since I am not much fan of lipstick or lip gloss, lip tint was my number one choice of lip product. 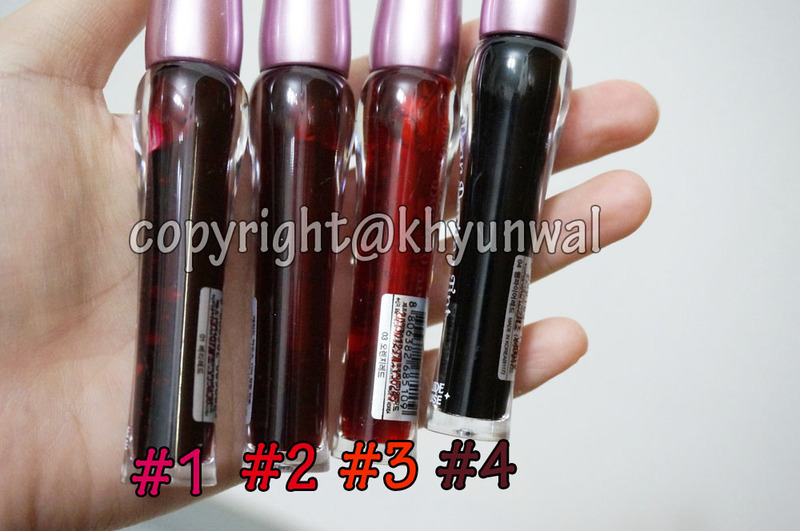 Lip tint gives the color you need without you having to worry about getting your lip product on something, or worrying about color fainting from long time of wearing. You guys can purchase product for $7 each at W2Beauty. Berry red, Real red, Orange red, and Limited edition Vampire red. Although all of the colors had red as main color, it doesn't have same color. If you have cool under tone, Berry Red is your color. If you are looking for real bright red, Real Red is the color you will want. If you want some coral color bright tint that suits to warm under tone, Orange Red is recommended. 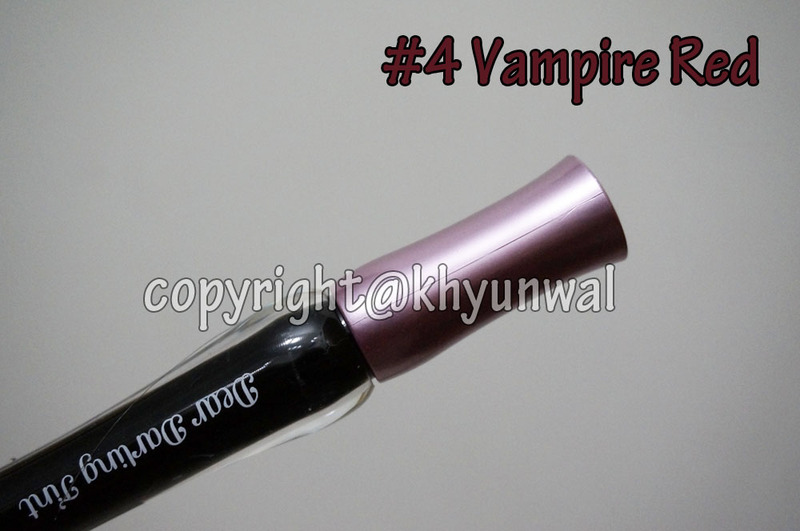 And if you want much more dramatic dark color, there is Limited Edition Vampire Red to choose. Also they have neon color of this product, so if you want something that really pops out, check it out at W2Beauty. 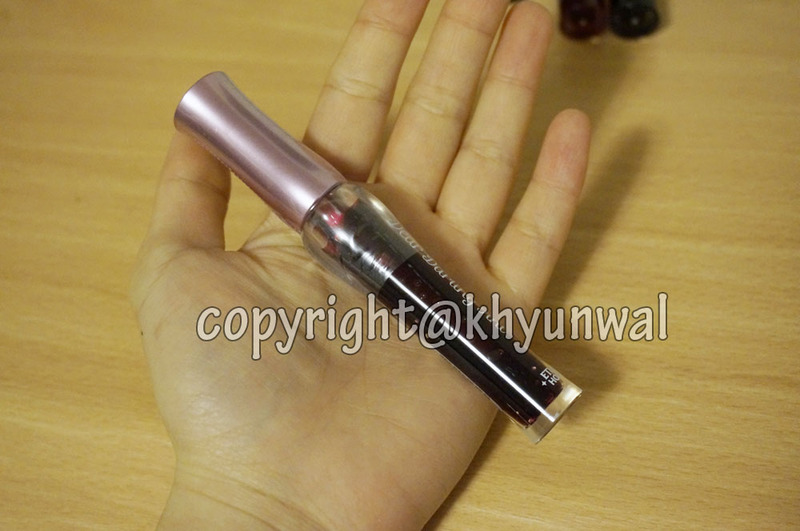 This product is gel type, so it gives the moisturizing effect as well as glowing effect when you apply it. 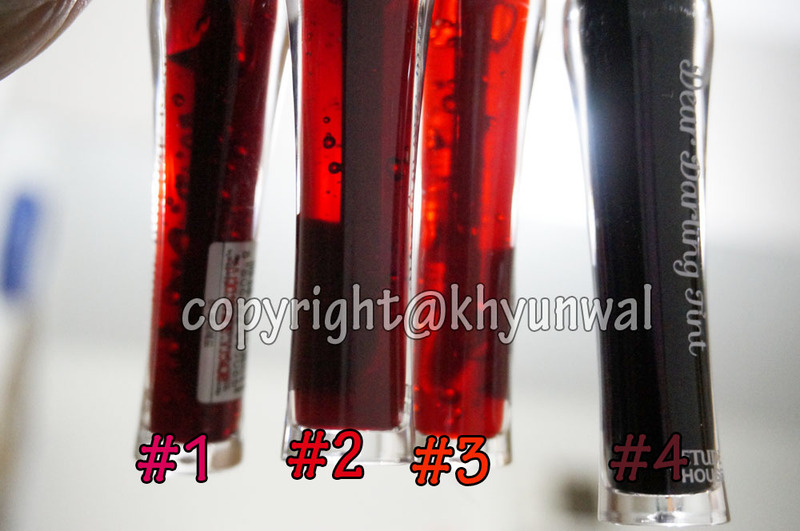 I have used other tints that are more likely to be liquid type. 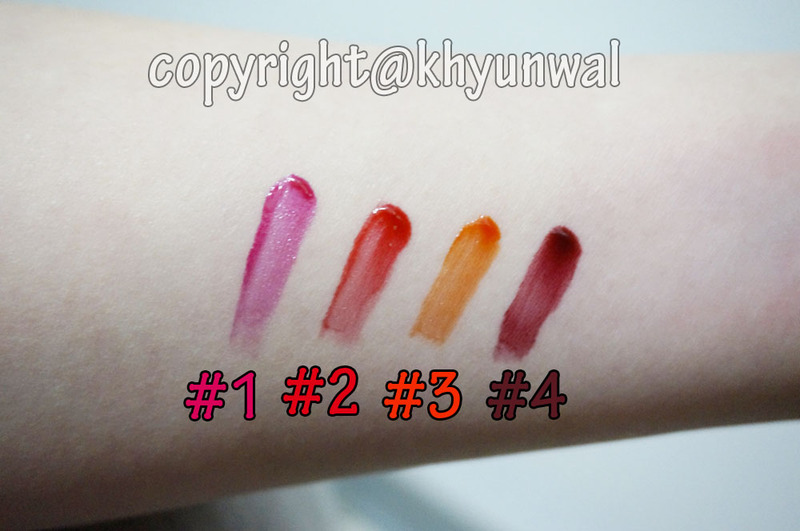 Liquid type of tint gives really bright color compare to gel or jelly type of tint, however, it doesn't give much moisturizing / glowing effect to your lips. 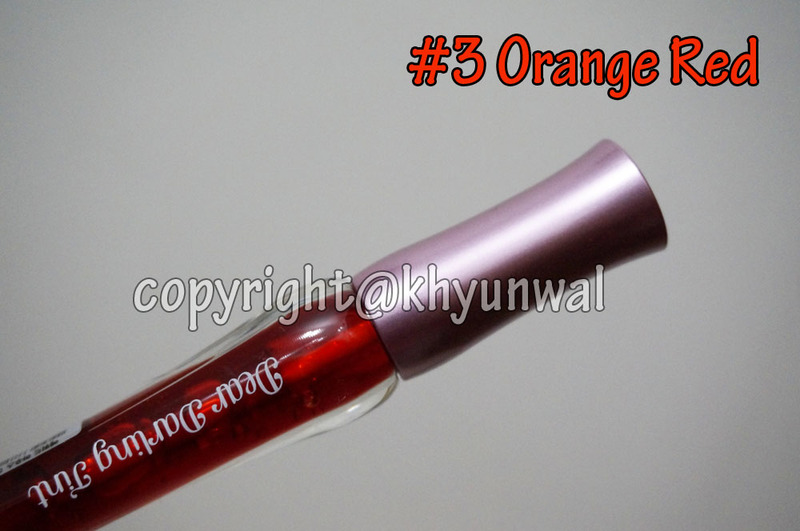 So if you are using Liquid type lip tint, using clear color lip gloss is recommended to give more shinny effect. 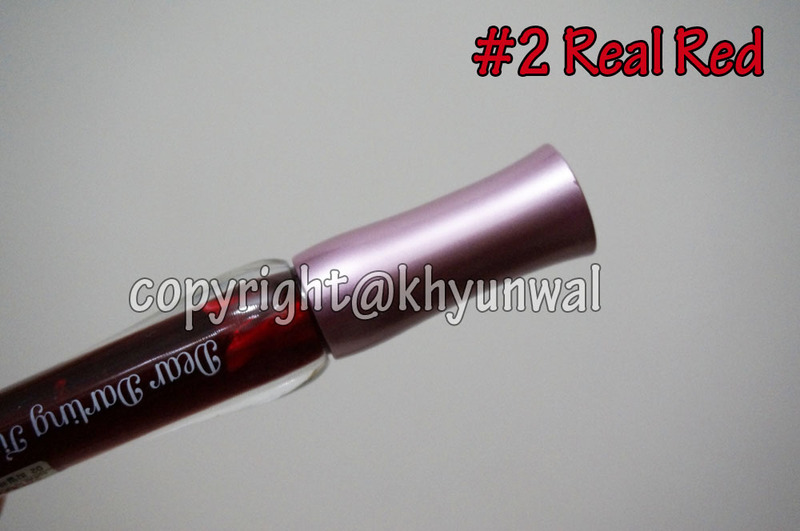 Surprisingly, for being a gel type lip tint, this product's color stains your lips really well, and last long time. Also this product use extract from pomegranate and grapefruit, so it is full of minerals and vitamin, which will help your lips to be healthy. 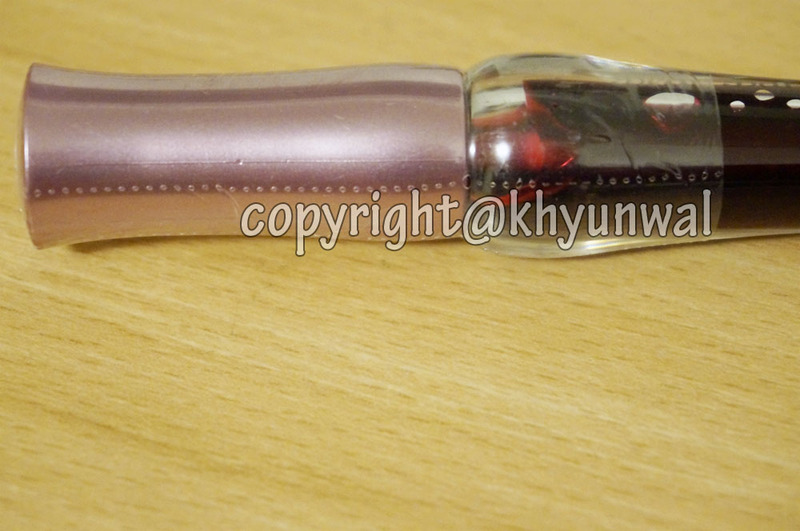 Etude House product recently comes with seals on them, to ensure that product is new and hasn't been open. So when you are purchasing Etude House products, be sure to look for the seal! This product is fairly small which makes it easy to carry in your purse or make up bag! And I like how this looks like little princess like design. Opening of this product has rubber stopper, which makes it easier to control the amount of the tint you will get on your applicator. Also it will prevent the tint from spilling. What I like about this applicator is that it's shaped so it will fit your lips better. So it is easier to control how and where you want to apply the tint on your lips! 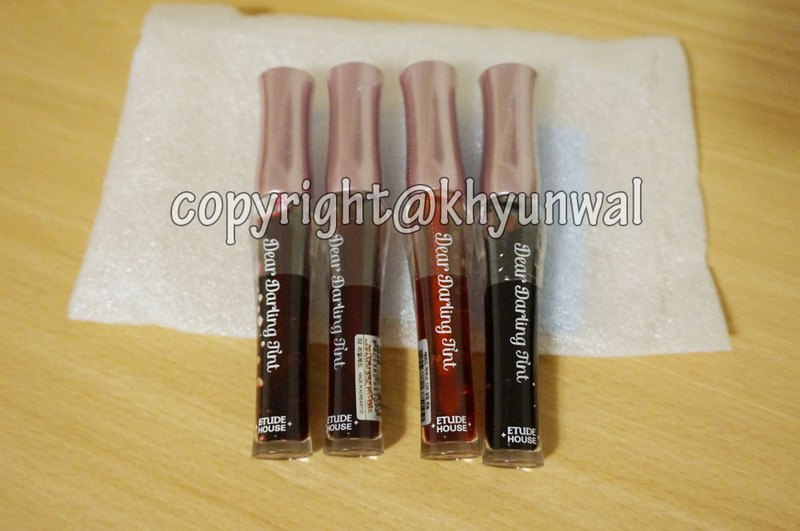 Most of the tint that I have used before have regular straight applicator, which sometimes can be difficult to use. Berry Red has nice pink tone to it rather than being just pure red. I love this color the most compare to other three colors. Cause this color gives that nice lively tone to my lips, without making it too red. 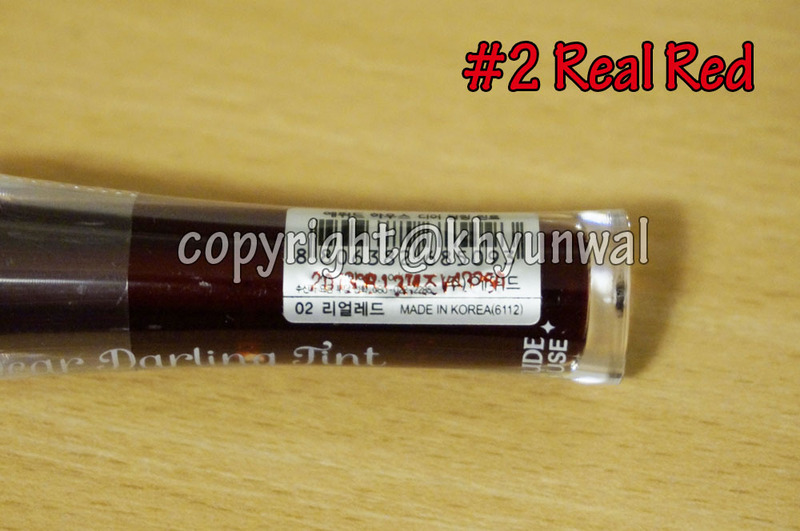 Real Red has true red color, which is not so common in the lip tint colors. 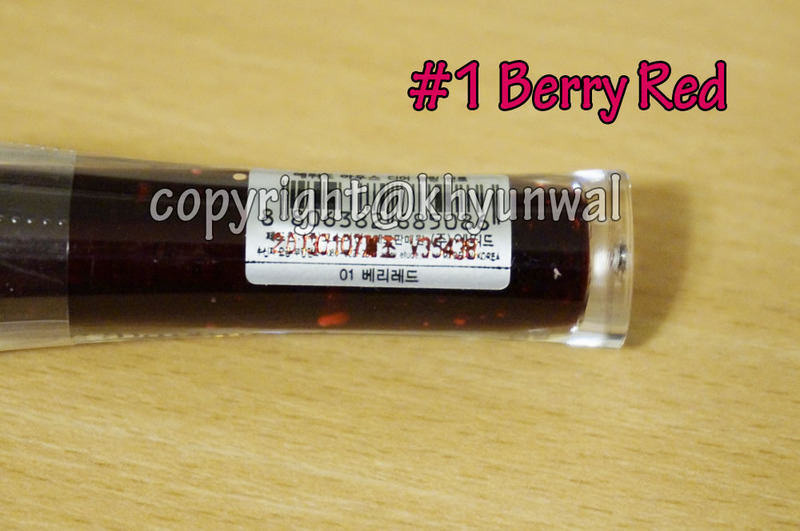 So if you are one of those people who love vivid red color, this is the color you will want to get! 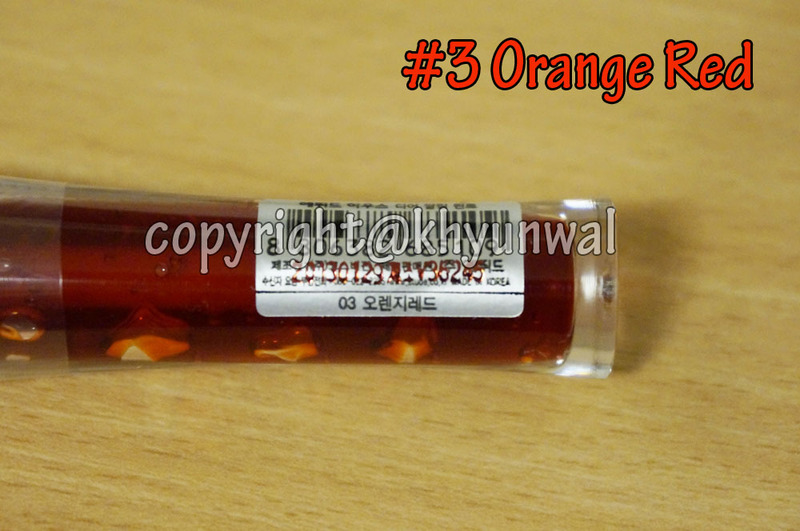 Compare to other three colors, Orange Red has brighter color. In my opinion this color really pops out because it has really vivid orange color. So if you are fan of poppy refreshing color, this is must get! 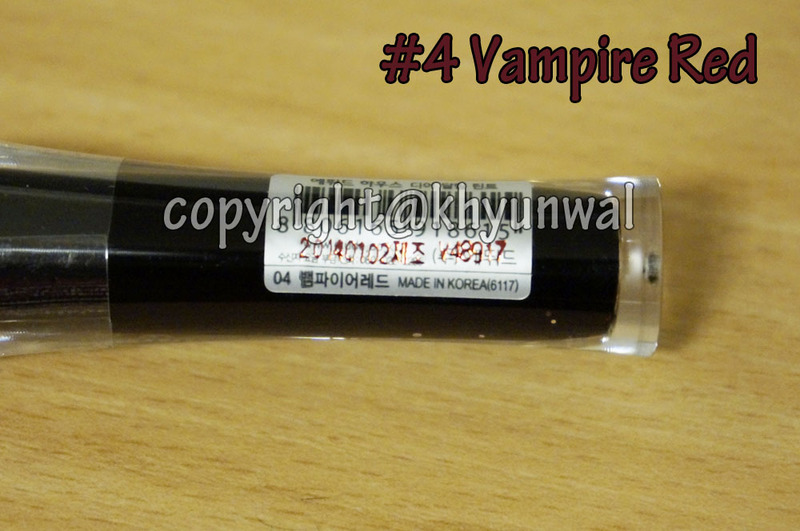 Vampire Red, just like its name has really dark color to it. I don't know how often I will use this color, since it is really dark to me. But I think this color will work great if you are trying to create make up look for party, or bad girl look, this will give you the dramatic look you are looking for! In these two pictures, Berry Red and Real Red seems like same color. However, once you actually apply it on your lips you will be able to see the difference in color! 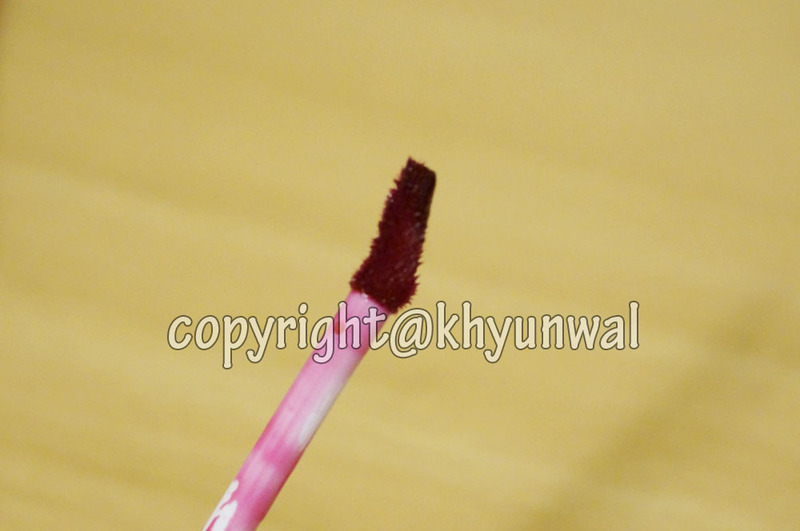 As I have mentioned, Berry Red has the pink tone to it, which works great to create those dolly looking lips. Real Red color is true red color, compare to other colors. 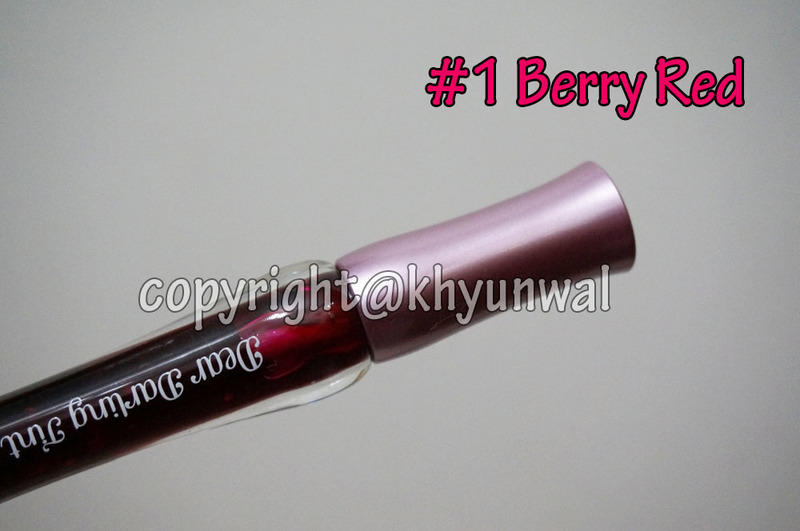 I think this color will work also greatly with the dolly or ulzzang lip make up. Orange color has true vivid orange color, which pops out compare to other three colors. But once you create the right look to it, it will work great! Since this is gel type, even after I have wiped the tint off with a tissue, it still stays very moisturized. I really love this, because I tend to get dry lips and I do not like applying lip gloss! So it will give the nice glow to my lips without having to use lip gloss at all. And the color stains to your skin really well, so you don't have to worry about color fading away. I hope you guys enjoyed this review. 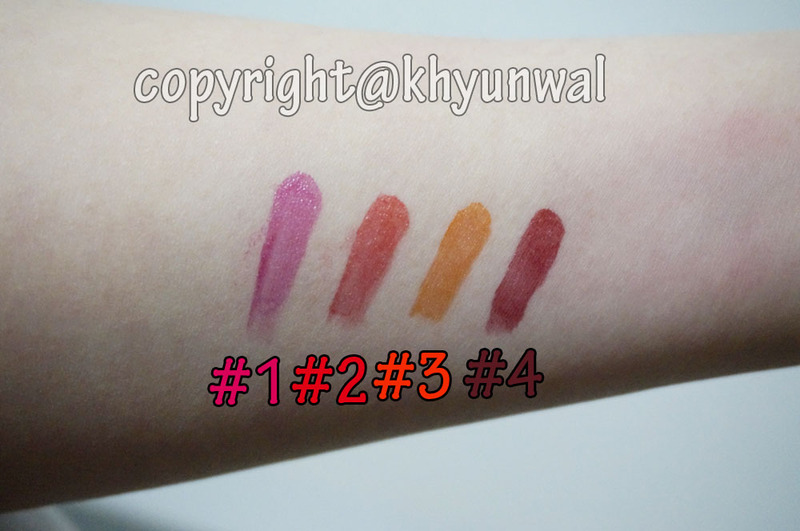 And if you are looking for the tint that will give beautiful color as well as moisturizing effect, this is the product you have been looking for! 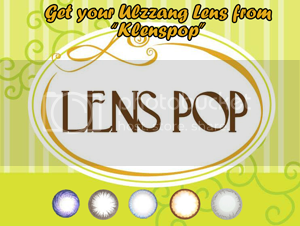 You can get this product at W2Beauty for amazing price, so be sure to check it out!